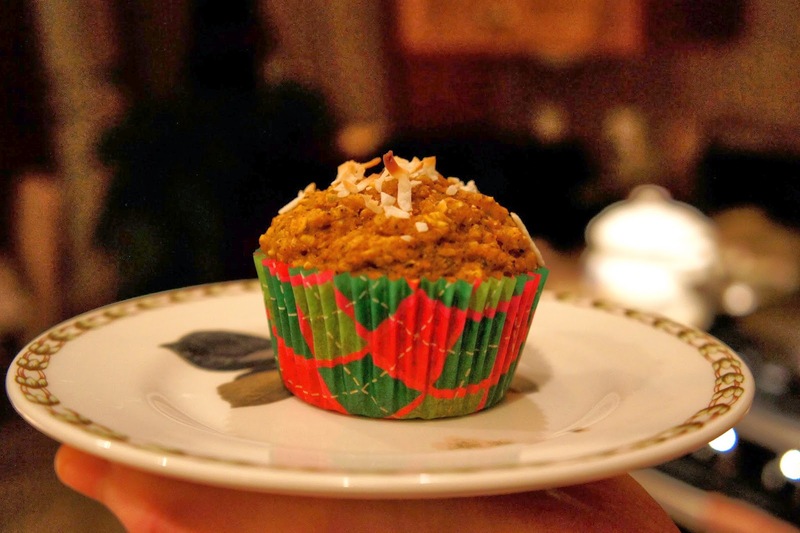 Pumpkin Chai Tea "Latte" in its muffin form. The past three months have been pretty hectic. With all the school stuff, musical theatre along with the struggle of senioritis...whoa. Today marks the first day of Spring Break! Since I'm staying in town (to treasure the last few days in Vancouver/Raincouver before I leave for NY in the summer) for the two weeks, this means- baking time, lots of it. I've got a bucket list down, not sure how many I can do but we'll just see how it goes. Also, prom season is coming!! For those of use with low metabolism (aka not one of those people who stays skinny no matter how much she eats), it's time to shape up for summer. This is a recipe I've modified to have higher contents of fibre, proteins and less refined sugar (you shall be amazed) while packed with natural flavors. Enjoy. 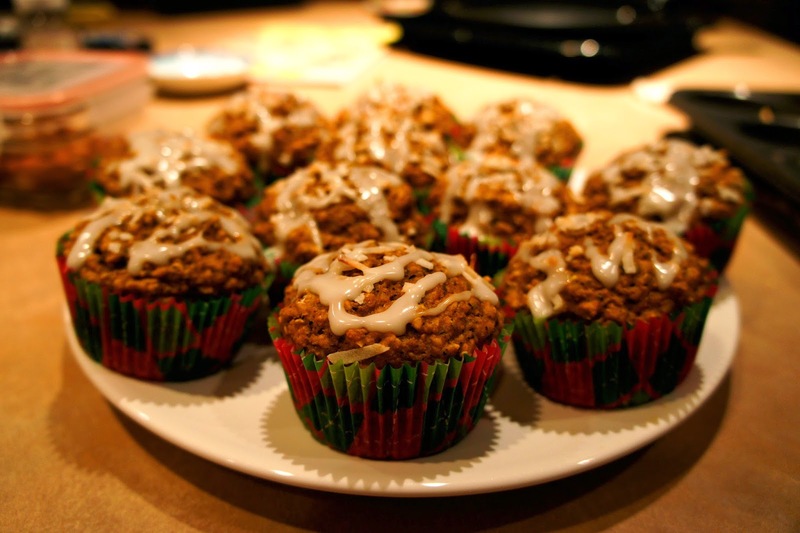 Preheat oven to 375 degrees F. Line 12 muffin tin with paper cups or spray with nonstick spray. 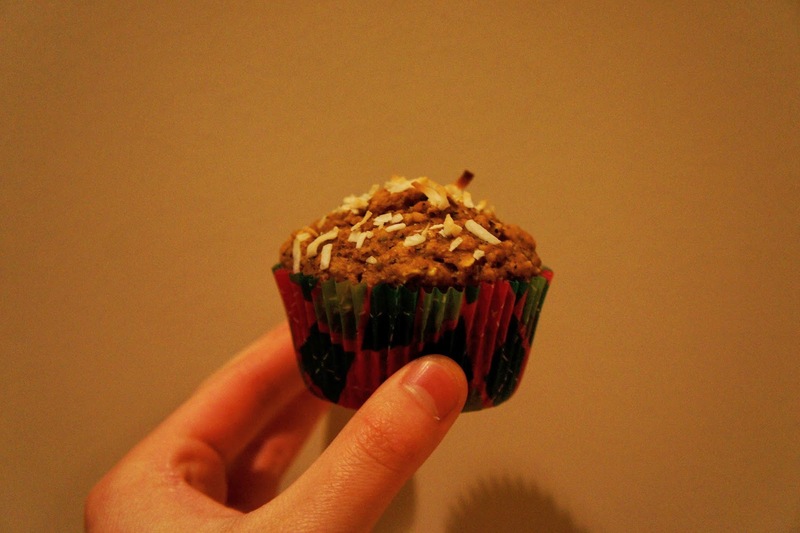 If you use muffin cups, make sure to spray the inside of the cups. In a large bowl whisk together flour, oats, baking powder, baking soda, and salt. Add in chai tea mix and whisk again. In a separate large bowl combine pumpkin, brown sugar, egg, applesauce, oil, and vanilla; mixing until smooth. Slowly whisk in milk. Add wet ingredients to dry ingredients and mix until just combined. Do not over mix! Sprinkle with some coconut flakes and bake for 23-27 minutes or until toothpick inserted into center of muffins comes out clean. Cool for approximately 10 minutes before transferring to wire racks to finish cooling. Make glaze by whisking the icing sugar and lemon juice together. Drizzle over cooled muffins.